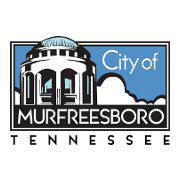 Murfreesboro is excited to kickoff a two-year comprehensive planning process, Murfreesboro 2035. We are partnering with residents, local business owners, and community leaders to plan for the the next 20 years of growth and development. The final result of the two-year planning process is the City of Murfreesboro’s Comprehensive Plan, a community guidebook that specifies policy, program, and project initiatives for the City. The plan elements include major functions of the City, including transportation, land use, housing and neighborhoods, parks and recreation, public facilities, historic preservation, and economic development with a focus on population growth and infrastructure. In order to be successful, the Comprehensive Plan must reflect the community’s values and traditions, while simultaneously exploring opportunities and best practices for growth, redevelopment and enhancement. We are using a high-tech and high-touch approach to engage the community throughout the planning effort, including a grassroots marketing campaign, community meetings, workshops and the use of technology, to gather citizen input. Franklin Environmental Services in proud to offer mold removal, radon testing & radon mitigation services in Murfreesboro TN. We perform mold remediation services, radon testing and radon mitigation, crawlspace moisture barriers and crawlspace encapsulation. We work with homeowners in Murfreesboro TN to ensure their homes are safe and secure from the dangers of mold and radon, and protected against intrusive moisture. Homeowners living in Murfreesboro face unique challenges when it comes to preventing mold from getting in their home. In Tennessee, there are over 100 types of mold that can attack your home both inside and out. It’s important keep an eye out for damp spots around your house, both inside and out. The best thing to do at the first sign of moisture is to take steps to dry out that area, and then call an expert. Franklin Environmental Services is certified by the Professional Mold Inspection Institute to handle all mold related issues you may face. Franklin Environmental Services offers professional radon mitigation services to the Murfreesboro area. Since Radon is impossible to detect, your best bet is to call a professional to ensure that you and your family are safe from this deadly gas. Franklin Environmental Services is certified by the National Radon Proficiency Program to perform radon testing and radon mitigation. Franklin Environmental Services is a trusted resource to Realtors looking for a partner. We help get homes mold and radon free and ready to show! We are fast, reliable and discrete. If you are a realtor in Murfreesboro TN, we would love to be a part of your winning team!